The Blockchain Centre is the world’s first not for profit Blockchain Technology community hub and coworking space. 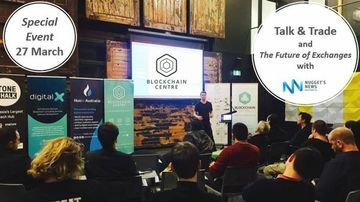 To promote and assist with the education, adoption and growth of the Blockchain ecosystem and provide resources to entrepreneurs and startups through use of our Blockchain co working space and community hub. As the leading Blockchain community and knowledge hub in Australia, we aim to help individuals, schools, universities, small business, corporations, not for profits, charities, city councils and all areas of local, federal and overseas governments to better understand Blockchain technology and connect these organisations; and create opportunities for the Blockchain Centre startup community.